Its tickets sell out in mere minutes. 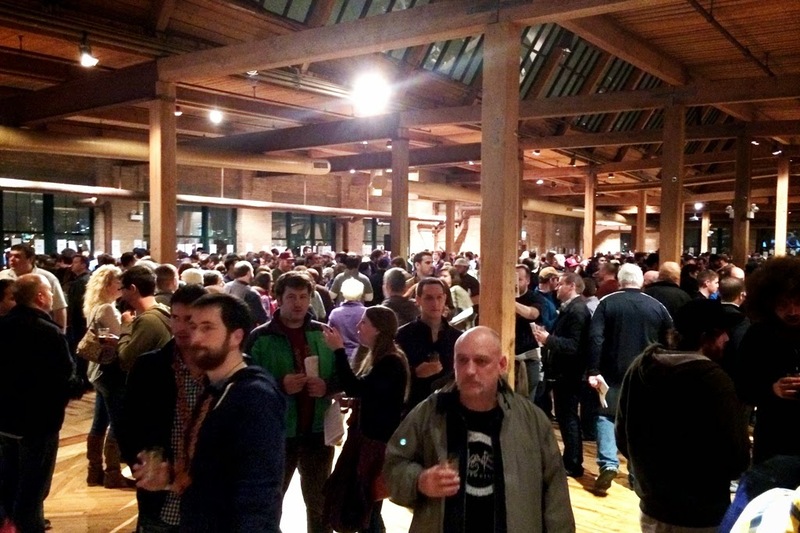 95 breweries gather to pour 213 barrel-aged beers, meads, and ciders. And hundreds of craft beer enthusiasts line up in the rain to get in. It's the Festival of Wood and Barrel-Aged Beer, FoBAB, and now in its eleventh year, this event has secured its claim as the nation's most-anticipated beer festival that focuses solely on the barrel-aging process. FoBAB showcases the results of a time-extensive process that infuses the unique qualities of used wooden barrels into each brewer's beverage of choice. Whether they originally contained bourbon, whiskey, wine, tequila, or another spirit, these barrels and varying lengths of time are all that are needed to enhance and morph an already tasty beer into something truly special. Organized by the Illinois Craft Brewers Guild and a dedicated committee of craft beer industry experts, the festival called the Bridgeport Art Center home for a second year. 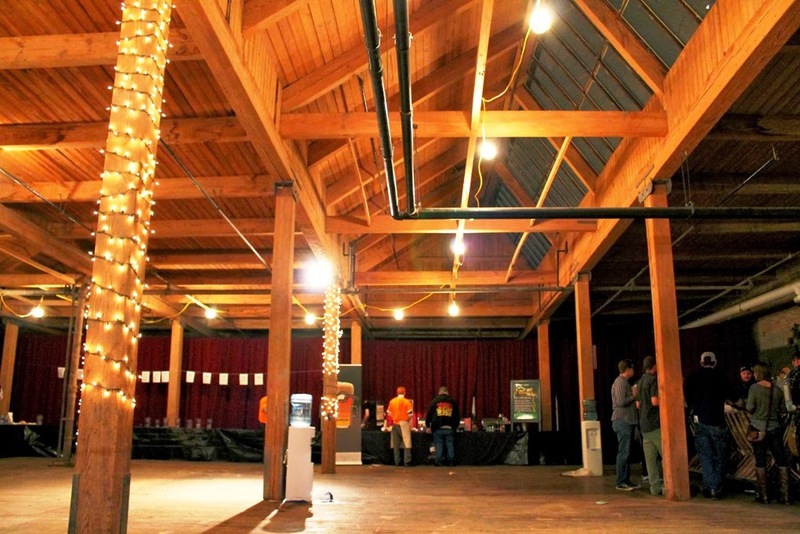 Surrounding attendees with beautiful wood and brick with light seeping in from skylights overhead, the Skyline Loft of the art center feels like it was built specifically for the festival, as though the beers could have been aged right in the hall where they are served. Despite rainy weather, an enthusiastic crowd arrived fully prepared for sensory overload, with ImBIBE members getting an hour's head start before the masses came in for the first session. 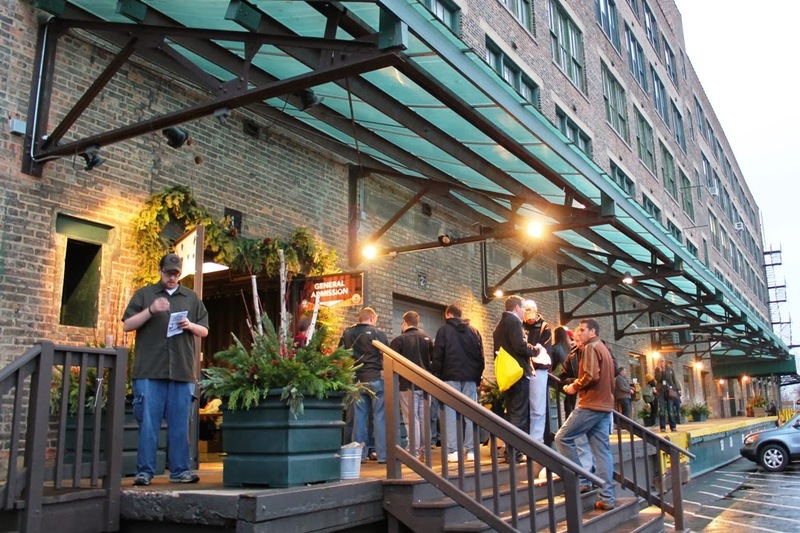 Lines quickly formed at some of the most sought after beers, like the 29% ABV behemoth Utopias from Sam Adams, a beer that normally sells for $200 a bottle or more, or the Barrel-Aged Abraxas from Perennial Artisan Ales. At some points, these lines ended up stretching well across the main hall, turning 90 degrees to wind lengthwise down the side. The festival also includes the National Wood Aged Beer Competition, dividing the beverages into 11 categories and awarding bronze, silver, and gold medals to the top three entries in each one. A Best of Show runner-up and winner are then chosen from the top medalists. This year, Goose Island received Best of Show Runner-Up for their Backyard Rye Bourbon County Brand Stout while Bell's Brewery took home the top prize for Le Bretteur, a 100% Brett fermented in French Oak Chardonnay barrels. Check out the full list of winners over at BeerDownload.com. The Bell's Brewery crew celebrates their big Best of Show win on stage with Haymarket's Pete Crowley. 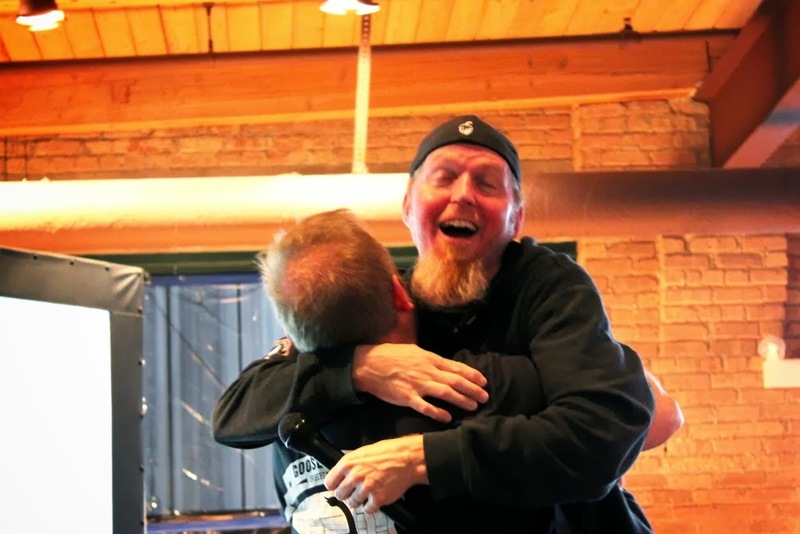 Whole lotta love between Goose Island's Brett Porter and Haymarket's Pete Crowley. 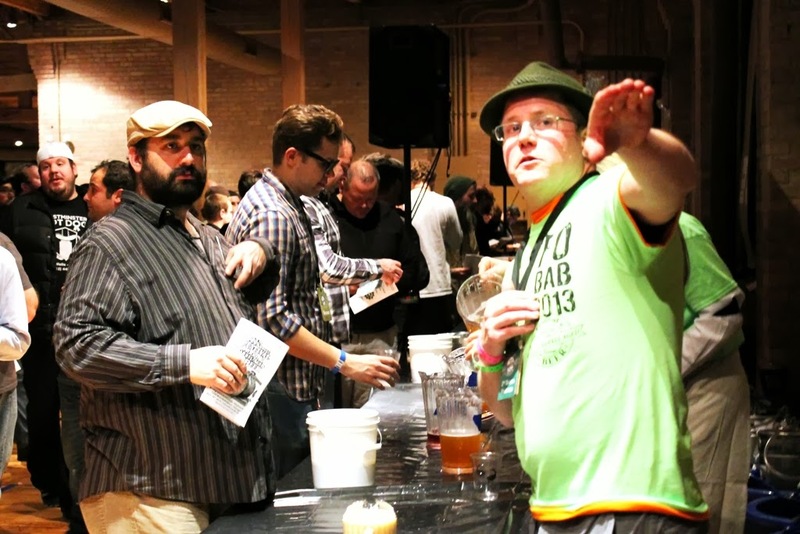 FoBAB is just one of many craft beer festivals in the Chicago area, but it's definitely a shining example of the spirit of collaboration and friendly competition our brewing community possesses. The hard work and dedication of everyone involved, from the organizers to the volunteers and, of course, the enthusiasts who attended shows through in every aspect of the event. Each year the festival grows and evolves as organizers continue to listen to feedback from attendees and brewers alike. This year, they added a new "Blending and Food Pavilion, " a room dedicated mostly to sour and wild ales, as well as the new cider/mead/perry category. This new area was clearly a big hit with the crowd. Who knows what they'll come up with next year. View more photos from FoBAB. 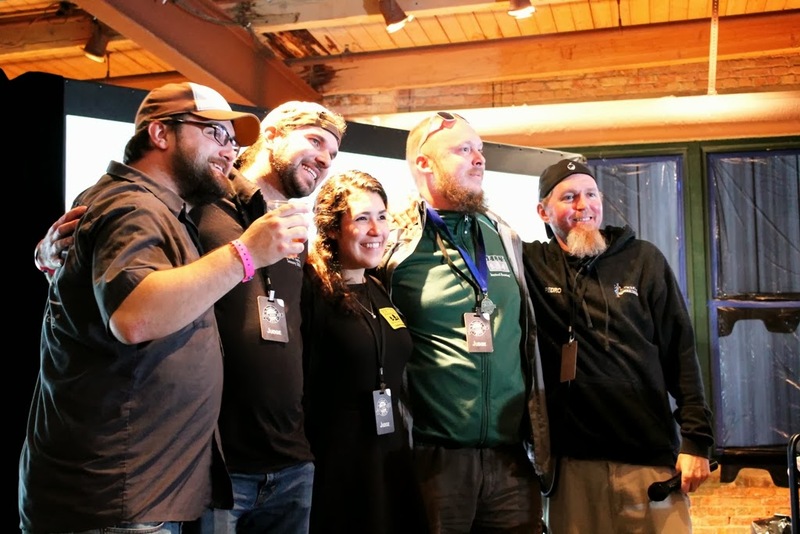 Did you attend FoBAB this year? What were some of your favorite samples? What would you like to see at next year's festival? Let me know in the comments.